Comedy is always a tricky subject, since one man’s (or woman’s) comic genius is another man’s (or woman’s…damn political correctness) load of old rubbish. 10. Red Dwarf (1988-1999) – Lister and co took comedy to space in a way which hadn’t ever been done before (at least not so successfully) and in their eight series managed to cover a wide range of (vaguely) scientific subjects, and keep the overall narrative of the series’ working so that the show never became stale, despite welcome and unwelcome changes throughout the years. Despite Craig Charles‘ Lister being the centre of the show, the only surviving human after a radiation leak kills everyone else aboard the mining ship Red Dwarf, it remains an ensemble piece, with the early series playing on the juxtaposition of Rimmer (Chris Barrie) and Lister’s personalities, helped along by the classic interjections of the ship’s computer Holly (Norman Lovett), while the latter series were more dramatic, and were a generally effective, if unusual change of pace. 9. Never Mind The Buzzcocks (1996-present) – You might say it’s splitting hairs to include a show which isn’t an out and out comedy, but ‘Buzzcocks is one of the most consistantly funny comedy quiz shows on the box. The music-based panel game was prestented first by Mark Lamar (1996-2002) and then Simon Amstell (2002-present), two teams consisting of a captain and two guests answer music based questions, often about the guests own songs or careers. The team captains are Phil Juppitus and Bill Bailey (previously Sean Hughes) and along with Amstell, proceed to mock the panelists around a vague gameshow format. 8. Black Books (2000-2004) – Dylan Moran, Bill Bailey and Tamsin Greig starred in a sitcom centered around a bookshop of the same name, run by cynical alcaholic Bernard Black (Moran) and his Egor-ish assistant Manny (Bailey). The show ran for three seasons on Channel 4, and in that time attracted a cult following, and featured guest stars including Simon Pegg, Nick Frost, David Walliams, Peter Serafinowicz and Julian Rhind-Tutt. What makes the show so good, is that it’s very British, with all the British cynicism, complaining and resistance to change epitomised by Bernard, while Manny being more optimistic, and constantly coming up with ideas of how to attract more customers to the shop. Fran Katzenjammer (Greig) is the mother figure, as well as giving the pair relationship advice, but the funniest aspect of her character is her general quirkiness, particularly around men she likes. 7. Have I Got News For You (1990-present) – The show that gave the news a funny bone hit screens back in the 90s accompanied by the satirical trio of Angus Deayton, Paul Merton and Ian Hislop. Now, 36 series and a scandal or two later, the show survives to bring current affairs to a new generation. Since Deayton’s departure in 2002 the show has been graced with a range of guest presenters (of varying success), while it searches for someone to fill his shoes. The ever-updated title screen is a telling satirical portrait of modern life, and in itself manages to raise a smile or two. 6. Fawlty Towers (1975-1979) – A post-Python John Cleese stars as one of the most iconic comedy characters of all time: Basil Fawlty. Along with Andrew Sachs (who is, in fact, not from Barcelona, but Germany) as half-wit Spaniard Manuel, the quiet little Torquay hotel gives rise to an impressive catalogue of golden moments, despite it’s criminally short life-span, with only 12 episodes ever broadcast. The other characters give Basil his stage, particularly Prunella Scales‘ shrieking Cybil Fawlty and Connie Booth‘s Polly. Interestingly it was Booth not Scales who was Cleese’s real wife at the time, and Booth also co-wrote the programme with him. Like many others I enjoy shoot-em-ups, I’m not particularly good, but they are always fun to play. 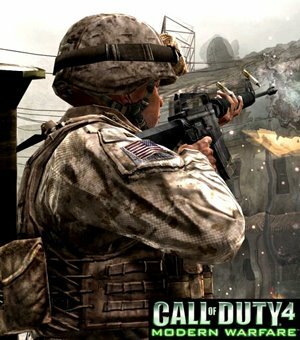 Call of Duty 4: Modern Warfare was a triumph, sweeping awards and top reviews in 2007. Developed by Inifinity Ward, owned by Activision Blizzard and including a number of people who worked on Medal of Honour: Allied Assault, the game brought the long-standing Call of Duty series up-to-date by focusing on subjects such as terrorism and nuclear threats. 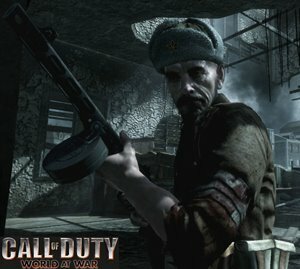 When it’s follow-up was announced to be taking proceedings back to WWII, a lot of people were unhappy, many wanted to see Modern Warfare 2 (which they will later this year), but instead Activision in their wisdom decided to hand over development of Call of Duty 5 (which became World at War) to fellow company Treyarch, who made Call of Duty 3, a title which wasn’t well receieved by fans of the series, as well as several other mediocre titles such as the Quantum of Solace game. When you pick up the game, you can immediately see the influence Infinity’s title had on WAW’s development, at times you feel like you could be playing the same game, though obviously, that’s the point. Others have gone into more detail than me, but I did notice that sadly the game falls short of the mark in a few key areas. The AI in the single player campaign forces you to take point at pretty much every opportunity in order to force them to do anything, and often only covers you after you’ve cleared out an enemy bunker, their weapons trained on a blank section of wall. Another issue is movement, though generally little different from COD4, you find yourself sticking on walls and debris on the floor at the most inoppertune moments and shout in frustration as enemy soldiers cut you down. In multiplayer things fare somewhat better, the inclusion of vehicles is a bonus and an ingenious, if irritating, turn to swap the helicopter of COD4 for a pack of dogs causes endless entertainment, if you get that big a streak. The levels though are quite blocky, and too often you find players exploiting cover to camp, which isn’t such good fun. Treyarch have clearly done their best with the title, but you can’t help but wonder how different the game might of been if the order they were released in was reversed. If you had to make a straight choice between which to buy, unless you have a wild passion for WWII, it’s Modern Warfare every time. Chicago punk/rockers cooked up a fire-storm at Manchester’s Academy 1 on Wednesday, delighting old and new fans with a show to remember. Support came from Broadway calls and The Audition, and while the former were unremarkable, the latter showed enough energy and enthusiasm to get even the most melancholy in the room clapping along to their own brand of infectious pop/punk with tunes like Warm Me Up and Hell To Sell. 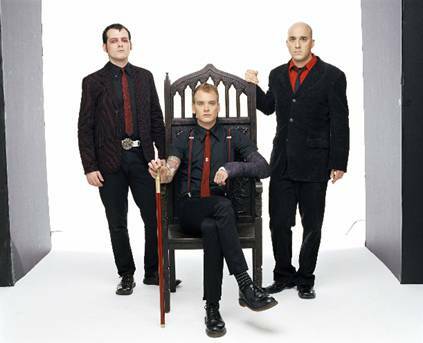 The main event arrived to a dark stage, the typically gothic backdrop reads “Agony and Irony”; the title of their new album, as the lights blare to reveal guitar/vocal master Matt Skiba in large square sunglasses, like a rocked-up version of Johnny Depps Willy Wonka, to break into a punchy Calling All Skeletons. Next up was fan favourite Private Eye, the first of several tracks from the bands celebrated “From Here To Infirmary” album. The song choices were very much for fans: a few catchy new tracks (particularly an impressive rendition of I Found Away) interspersed with classics going well back through the bands repertoire. Despite only a little direct encouragement, only song-titles and the occasional hello coupled with Dan Andriano giving a timid “thanks”, the crowd revelled in the company of one of the best 90s punk/rock outfit still around. The only tracks noticeable by their absence were the big songs from 2006’s Crimson, but this is unsurprising considering fans reaction at the time. 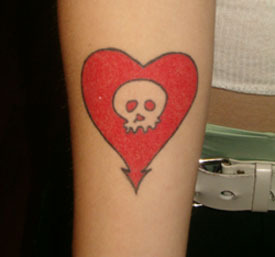 It was clear that this gig was a celebration of everything that makes the band worthy of their Alkaline Trio skull-tattooed fans devotion. 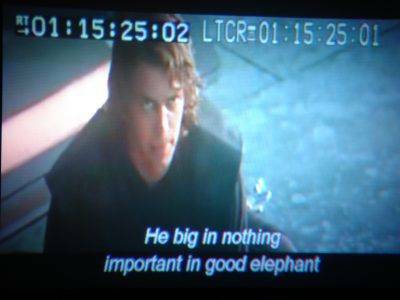 What are subtitles actually for? Some think subtitles are merely a device to allow the hard of hearing to understand and enjoy TV programmes and films more easily, and that is, of course, how they began their life, but what about everyone else? Are they just irrelevant choices on a DVD title screen? If you’ve got this far then hopefully you have a feeling that there might be a little more to it than that. A reliable (though basically designed) internet page tells us that subtitles have been considered since the inclusion of voices in film in 1929. In those days, a lot of films came from abroad in foreign languages, so the only way British audiences could understand them was to have the films ‘dubbed’ into English, a practice which still goes on to this day. Dubbing is expensive though, and soon film-makers had the cunning plan just to show the words on screen as they did with the title and credits and the beginning and end of the films, but tucked away at the bottom of the screen so you could still see what was going on, hence subtitles. Fast-forward to today and you see subtitles telling you the latest news in railway stations, when audio would need to be deafeningly loud to be heard over busy commuters, as well as in nightclubs to let you enjoy an episode of Family Guy or whatever it might be while you take a break from all that hard boogie-ing. In foreign films still, subtitles are used, and in Japanese anime films and series there are not always English-dubbed versions of series available, making reading ‘subs’ the only way to understand the action. Subtitles can also be used in education, since many children may be daunted at the prospect at watching Harry Potter’s adventures in French, but once the subtitles are put on they can watch a good(ish) film and learn the language at the same time: the definition of enjoyable learning. There are still practical reasons for the inclusion of subtitles, and it baffles the mind to think that in an age where we’re (supposed to be) more accepting and accommodating to people than ever before, some DVD releases still don’t have subtitles when others boast alternate audio soundtracks and dozens of world languages to read through. Last.fm?! I hear you shriek in dismay, what’s that?! Should I ‘have’ it? What aren’t you telling me?!?!? These are just a few of the panicked questions I hope to answer. I’m not a Last.fm legend by any means, in fact currently my apparent number of listened to tracks stands at a measly four thousand, but I think it’s an excellent Web 2.0 resource, and anyone who calls themselves a music lover should check it out. Last.fm, first and foremost, is a website (http://www.last.fm) which keeps track of what music YOU listen to, as well as suggesting new music you might enjoy. All you have to do is sign up and let your media player know what your Last.fm details are (personally I’d recommend Songbird, but more on that later) and away you go! The site itself began when two of its founders, Felix Miller and Martin Stiksel, who were running an online record label to promote new and unknown bands, joined up with Richard Jones, who was tracking his and his friends’ listening habits using a program called Audioscrobbler, to bring their projects together in 2005 to create Last.fm as we know it today. Bizarrely, it actually pulls this off, creating a playlist for you of recommended music even if you chose one band. But hang on, how can we know that the site doesn’t just push bands which pay it more money? The truth is we can’t ever know for sure, but it’s easy to believe that it really isn’t all about the money with this site, simply from the wide range of new music available. There are some drawbacks however, you need to have an audio player which talks nicely to the site in order for your music to show (luckily most major ones are already compatible) and if you are away from your computer and just fancy some music you can go on there, but you can’t listen through all the tunes from a certain band, instead the site offers similar bands after the first track, which can become irritating. Providing you have the right media player though, actually using the site is a piece of cake, since everything is automated, so you can go on and find out just how worryingly addicted to Less Than Jake you are. Songbird, the free open source player from the Firefox crew, Mozilla, has just released its 1.0.0 version, so it’s early days, but it is one of the most customizable music players in existence, offering countless add-ons for everything from Album art to quizzes and, naturally, full Last.fm scrobbling (that’s shoving the songs you’re listening to on the site by the by). So, there you have it. Last.fm is a tool, but a fun one, and when coupled with one of the most versatile media players ever conceived there really has never been a better time to be a music fan.